Have you ever wondered what it would take to freelance your services? It’s not unheard of for people to leave the office and decide to work from home. In fact, you would be amazed at the number of people who work in traditional jobs and want to switch to freelancing. Compared to many traditional jobs, freelancing feels like the dream: set your own hours, set your own rates, pick and choose the clients you work with. Unfortunately, freelancing isn’t always such an easy thing to do — and not everybody can make the transition to freelancing. Many people jump into it without pausing to consider what the effects of making such a transition will have on them. And often, these are the people who find themselves back at their traditional job in less than a year, and often with a great deal of debt on their shoulders. This has earned freelancing the reputation of being a risky business. But to be honest, freelancing isn’t nearly as risky as other start-up businesses or self-employment opportunities. 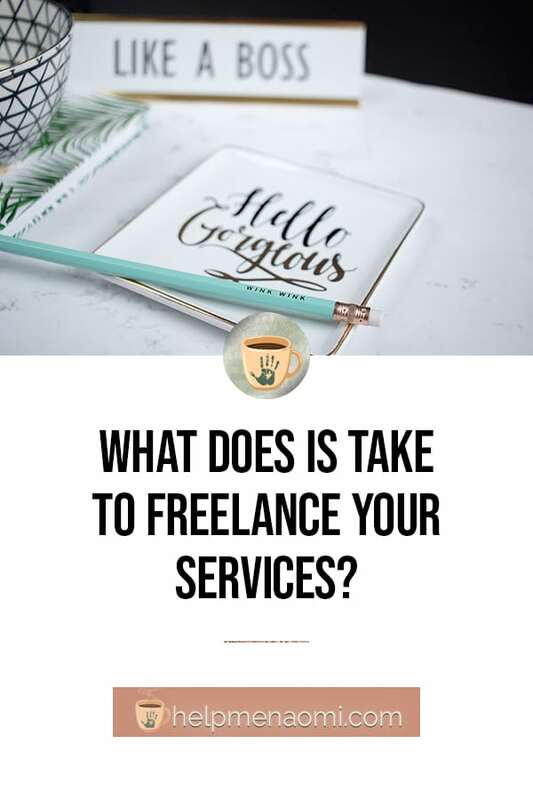 Still, it makes good sense to take a look at what it takes to freelance your services before quitting your traditional job — especially if that job makes up a significant portion of your household income. First, to freelance your services, you need a marketable skill…in other words, something people are looking for. Are you a writer? Photographer? Videographer? Editor? Website designer? Graphic designer? You can turn just about anything into a freelance business. The key is to start by determining how much demand there is for your skills. And while you’re doing market research, you’ll also want to make note of industry rates. Additionally, to freelance your services is going to require much more self-discipline than working in a traditional office requires. Working from home means working in an environment rife with distractions — it may as well be booby-trapped to hinder all work, to be honest. Homes are not generally designed to have productive atmospheres. So, you’ll need to work out methods that will help you avoid those many distractions, get you motivated, and keep you productive despite being in an environment that demands the opposite. Essentially, to be successful at freelancing, you have to be more than just good at your job. You have to know that people will want you to do the job for them, you’ll have to know how much to charge for your services, and you’ll have to stay disciplined enough on your own to get the job done. If you have these things, you can be a success. I’ve seen people leave well-paying jobs to work from home and end up doubling or even tripling their income. Getting started in freelancing isn’t that hard. It just takes a bit of forethought and preparation. Freelance Writing Versus Blogging: Which one is right for you? Determined to Start a Career as a Ghostwriter? Read this first.